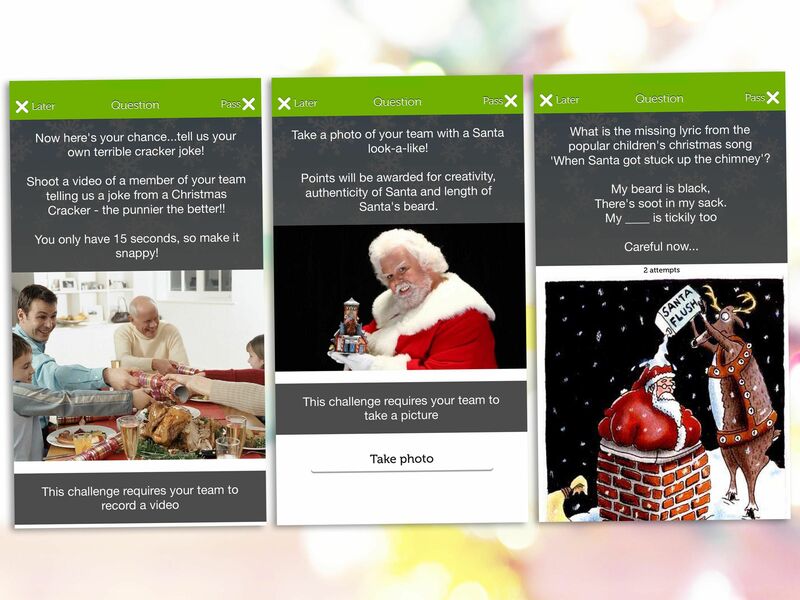 Everyone knows that Christmas is the time for giving, so why not give back to your colleagues or employees and treat everyone to a smartphone Christmas treasure hunt team building experience. 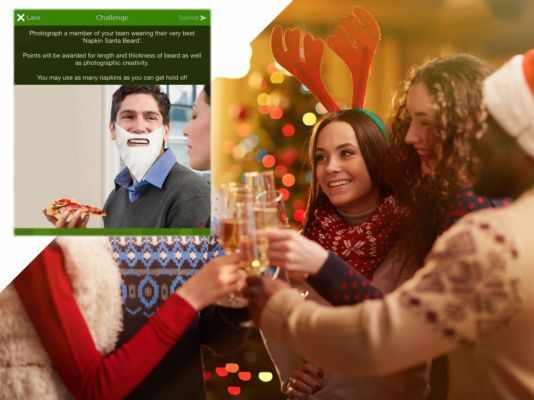 A twist on the popular team event, you and the team will get the chance to explore your city of choice like never before, with a bar crawl included so you can warm yourself with a few festive drinks in the winter chill! The whole event is self-run, so you can build it into your agenda no matter what you’re doing, and activate the app at any time to work together. 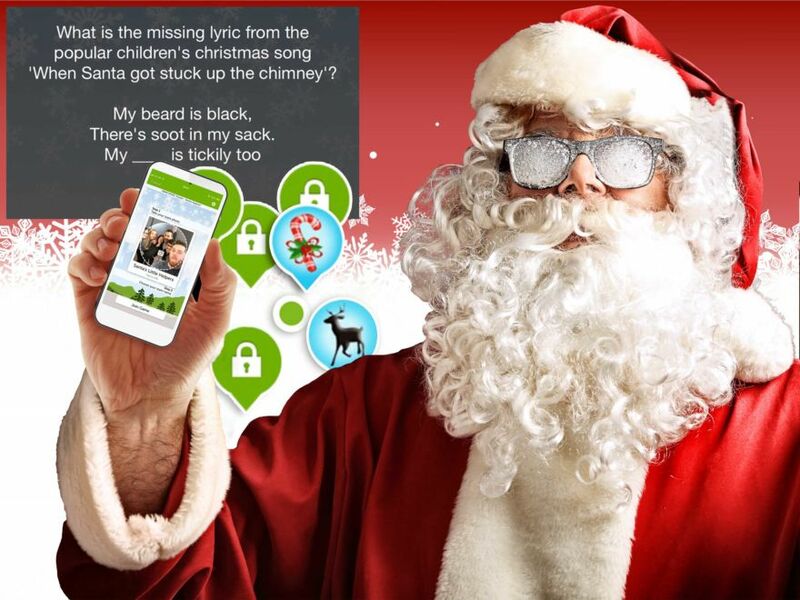 The smartphone Christmas treasure hunt team building is an easy going activity around your city of choice, with a friendly competitive edge to make it a memorable event. Once you’ve booked, we’ll send you an information pack and unique QR code to activate your specific team workshop when you want to do the experience. 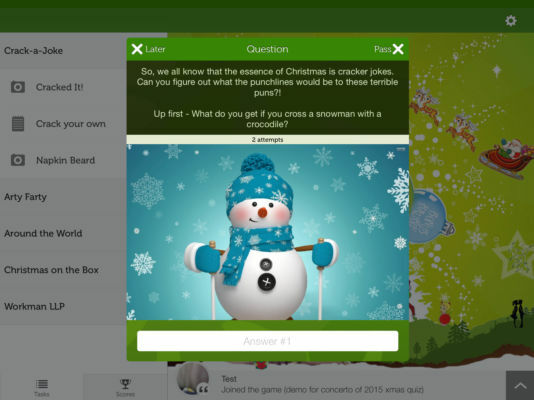 On the day, choose a time to activate the app, split into smaller teams and go head to head with a variety of puzzles, questions, quizzes and challenges, all with a festive theme to get you in the Christmas mood. 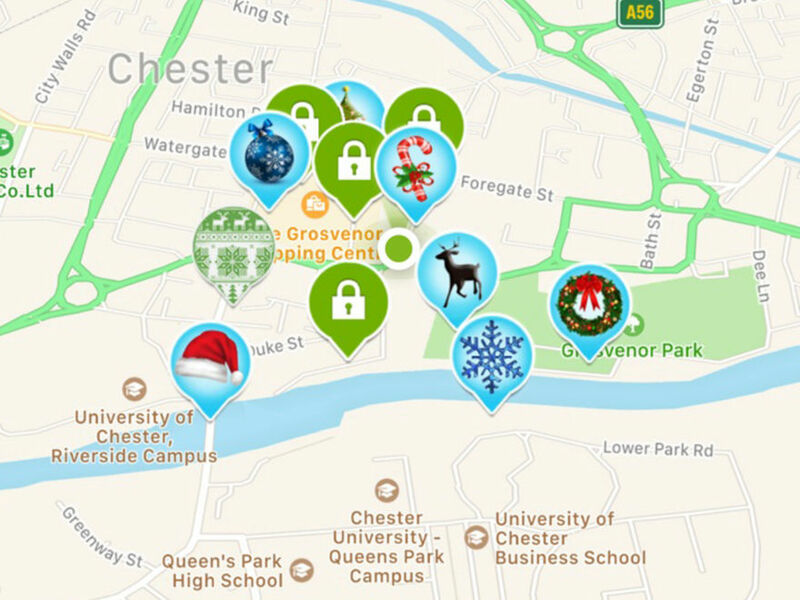 The smartphone Christmas treasure hunt team building experience will take you around the city centre, where you’ll hit a variety of hotspots to gain points through questions and challenges. Take silly team photos, do magic tricks and answer some festive trivia in order to earn your team points and come out the winners of the day. To keep everything competitive, your app will provide live scoreboards where you can track the other teams progress, and use the map to see where they are at all times. If you’re looking for an end of your team building event that’s a little different and a lot effective, this festive take on a pub treasure hunt is the perfect option. It was brilliant, we really enjoyed it and got a ton of great videos and pics. The only trouble we had was that the o2 networks were down but we took your advice and suggested every team have a backup team leader so all went well. We had great fun thank you and everything ran very smoothly. Excellent company to use for a works night out/ Team building. The colleagues have said the app was great and had such a laugh doing it. Definitely lifted everyones spirits up and there was smiles all round. The events manager assigned to me was great and responded to all my questions efficiently. Highly recommend using them and will be doing so in future days/nights out with the team.